Pasay, officially Lungsod ng Pasay (City of Pasay) and commonly Pasay City, is one of the cities in Metro Manila, the National Capital Region of the Philippines. It is bordered to the north by the City of Manila, Makati to the northeast, Taguig to the east, and Parañaque to the south. Due to its location just south of the City of Manila, Pasay quickly became an urban town during the American colonial period. The Namayan was a confederation of barangays which reached its zenith c. 1175. Its ruler, whose capital was at Sapa (today part of Santa Ana, Manila), controlled territory stretching from Manila Bay to Laguna de Bay. 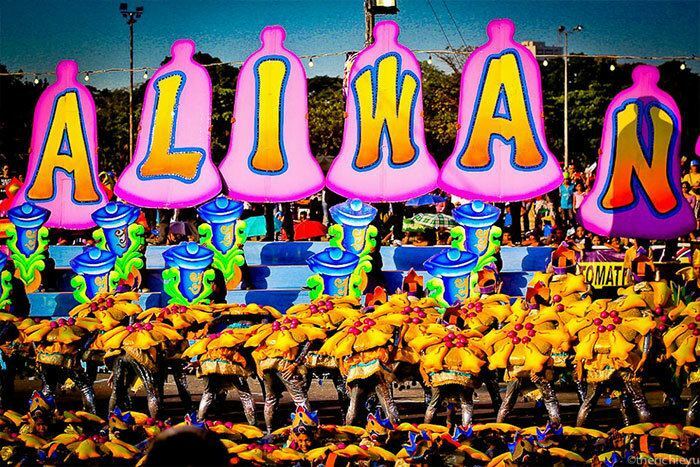 Dayang-dayang Pasay, presumably a royal or noble of the realm, is noted as having inherited lands in what is now Culi-culi, Pasay, and Baclaran, marking the area as subject to Namayan. The Portuguese explorer Ferdinand Magellan arrived in what is now the Philippines on March 16, 1521. On May 19, 1571, Miguel López de Legaspi took formal possession of the Kingdom of Maynila and its surrounding polities in the name of the Spanish Crown. For 250 years, the Islands were governed by the Viceroy of Mexico, but in practise Catholic clergymen governed local politics. Of the many religious orders that came, it was the Augustinian Order who would figure predominantly in the evangelisation of Pasay. The parish of Pasay was governed from the old Namayan capital, since renamed Sta. Ana de Sapa, which was under the jurisdiction of the Franciscans. The promise of space in Heaven prompted early native converts to donate their possessions to the Church, with folklore recounting how a baptised Pasay on her deathbed donated her vast estate to the Augustinians. Most of Pasay went to friar hands either via donation or by purchase; many natives were also forced to divest of their properties to cope with stringent colonial impositions. In 1727, the Augustinians formally took over Pasay and attached it to the Parish of Nuestra Señora de los Remedios in Malate. In that year, Pasay was renamed Pineda in honour of Don Cornelio Pineda, a Spanish horticulturist. The opening of the Suez Canal in 1869 led many more Spaniards to this part of the world. The new arrivals carried with them ideas and ideals that led to the political and social reforms. Times were good and Filipinos were delighted but the Spaniards and friars considered the liberal learnings as seeds of heresy. Democratic reforms ended with the collapse of the liberal regime in Madrid, and there were mass executions and much innocent blood was spilled. Pasay produced numerous heroes during the Philippines-Spanish War. The Katipunan, the organisation founded by Andrés Bonifacio that spearheaded the revolution, had a chapter in Pineda organized by Pascual Villanueva, Jacinto Ignacio, and Valentin Ignacio. Several women also fought for the cause of the Katipunan including Marcela Marcelo. The execution of José Rizal, who authored the novels Noli Me Tangere and El Filibusterismo (considered seditious by the colonial government) on December 30, 1896, fanned the flames of the Revolution. On February 25, 1898, President of the United States William McKinley instructed Commodore George Dewey of the American Asiatic Squadron to make Hong Kong his base of operations from whence he could "proceed with offensive operations in the Philippines." War between the United States and Spain was declared on April 25, and Dewey steamed into Manila Bay on the night of April 30. With a few well-directed shots, the American squadron destroyed the Spanish flotilla without any deaths. 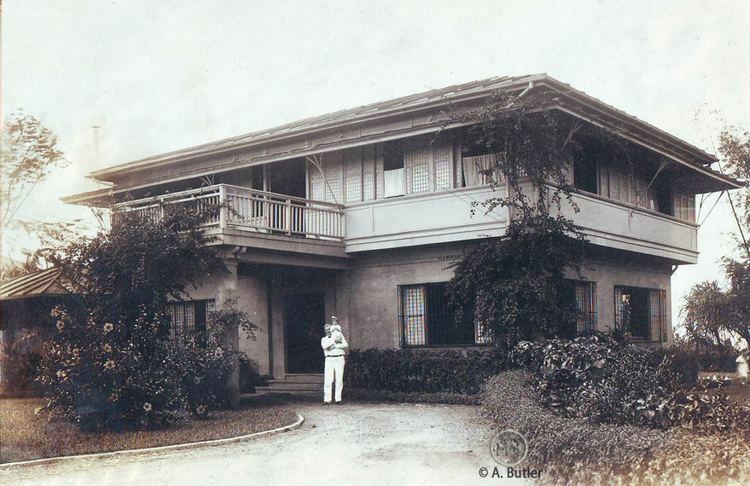 Pineda was made the command outpost of the Primera Zona de Manila under Gen. Mariano Noriel, but Gen. Merritt appealed that the Pineda outpost turned over to the Americans so that they could be closer to the Spanish lines. Thinking Americans were allies, Noriel left Pineda on July 29, allowing American General Greene to transfer. When Intramuros was finally captured, the Filipinos were denied entry to the walled city. Since then, tension simmered between Filipino and American troops, with both sides assigned respective zones but neither observed boundary lines. On the night of February 4, 1899, four Filipinos crossed the American line in Santa Mesa, Manila, and shots were exchanged, triggering the Philippine-American War. On May 19, 1899, General Noriel was given command again of Pineda. In June, Noriel together with General Ricarte almost defeated the American forces had they exploited the exhaustion of the enemy in the Battle of Las Piñas. Instead their forces were attacked by American reinforcements and bombarded by warships. The assault forced them to abandon Pineda to occupation by American forces. The Philippine-American War ended officially on July 4, 1902, and to the surprise of the vanquished, the victors buckled down to bring to fruition McKinley's original version of training Filipinos to run their own government. On August 23, 1901 the United States Army transport Thomas docked at Manila Bay carrying six hundred American schoolteachers. As for public works, roads increased from 990 miles when the Americans first came to 13,000 miles of road half of which are first class and all-weather network. On June 1, 1901, Pineda was incorporated into the Province of Rizal. Antonio Dancel was appointed provincial governor and Pascual Villanueva as municipal president. On August 4, 1901, a resolution was passed petitioning that the original name of Pasay be returned. Before the year ended the Philippine Commission approved the petition. Two years later, on October 12, 1903, the pueblo of Malibay was annexed to Pasay. With a population of 8,100 in 1903, Pasay was placed under fourth-class category together with 9 other municipalities. Friar lands were turned into subdivisions. 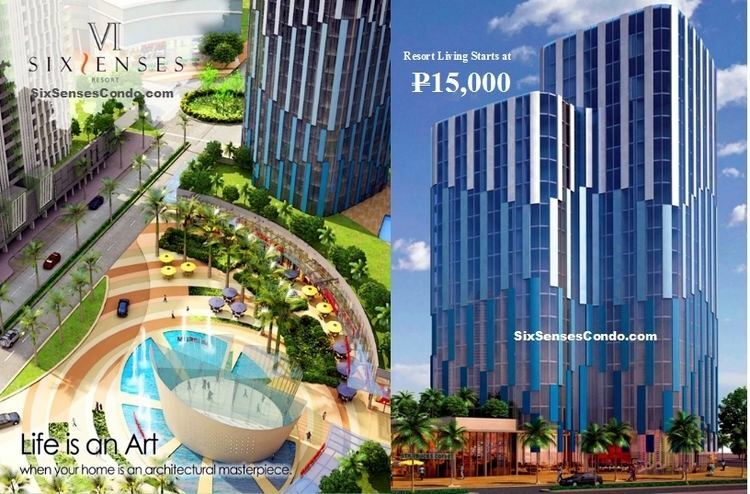 Soon the Pasay Real Estate Company offered friar lands as residential lots for sale or for lease to foreign investors. Postal, telegraph, and telephone lines were installed and branches of Philippine Savings Bank were established. In 1907 a first-class road from Pasay to Camp Nichols was completed. 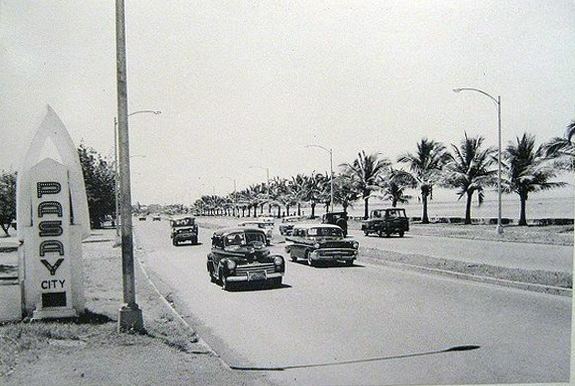 Others were repaired including the old Avenida Mexico now called the Taft Avenue extension. Transportation services improved. Among the buses plying routes to Pasay were Pasay Transportation, Raymundo Transportation, Try-tran, and Halili Transit. By 1908, tranvia (electric car) lines linked Pasay to Intramuros, Escolta, San Miguel, San Sebastian, and San Juan. Automobiles took to the streets, testing their maximum 20KPH speed on three new avenues (Rizal, Taft, and Ayala). Marvel after marvel continued to fascinate the Pasayeños. On April 11, 1914, Pasay entered the Aviation Age. Miss Cora Wong, a nurse at the Chinese General Hospital became the first woman in the Philippines to fly as a passenger on a flight with Tom Gunn in a Curtiss seaplane off Pasay Beach. Real estate was cheap. Much of the bayside area beyond Luneta was swamp but American ex-soldiers were quick to seize the opportunity to develop it for residential purposes. By 1918, Pasay had a population of 18,697 because of the exodus of prominent Filipino families and government officials to this seaside town including Manuel L. Quezon. World War II came and on December 26, 1941, McArthur issued a proclamation declaring Manila and it suburbs (Caloocan, Quezon City, San Juan, Mandaluyong, Makati, and Pasay) an open city. On New Year's Day, 1942 Quezon, while in Corregidor, called his secretary Jorge Vargas and appointed him by executive order "the Mayor of Greater Manila" which included Pasay. The mayor of Pasay was then Rufino Mateo, governing a town of more than 55,161. During the WWII many Pasayeños joined in the fight against the Japanese. Jose P. Maibag, born and bred in Pasay, laid out underground networking. Carlos Mendoza, a resident of Barrio San Roque, together with 14 others, formed a mobile broadcasting station called "The Voice of Juan dela Cruz." Unfortunately on July 11, 1942 Japanese military police pounced the group. Carling Mendoza, alias Juan de la Cruz" and other members of the group were brought to the old Bilibid Prison and suffered the kind of torture they talked about on radio. Pasay had to redo the signs all over town. Tagalog was ordered to prevail over English. The national language became a core subject in the secondary school curriculum. Nippongo was taught in all levels. Pasay was to prepare for the Second Republic. On October 14, 1943, Japan proclaimed the Second Philippine Republic. Meantime, food had become so scarce that prices soared. Pasay folks began to move away from the city. In October 1944, word came that Gen. MacArthur had landed in Leyte. In the middle of February, Pasay was to witness the ultimate holocaust yet. Pasay and its neighbors Ermita, Malate, Paco, Pandacan, Singalong would hear day and night, the shelling at the mouth of the Manila Bay from across Pasig River. Pasay was both witness and victim. In the final days before they lost Greater Manila, the Japanese burned houses and sacked the town. And when the embers cooled, then, and only then, did the Filipinos realize, in shock, that their city was gone forever. On February 27, 1945, General MacArthur turned over the government to President Sergio Osmeña. One of Osmeña's first acts was to dissolve the Greater Manila Complex. Caloocan, San Juan, Mandaluyong, Makati, Pasay, and Paranaque were returned to their original province of Rizal. He then appointed Juan S. Salcedo, born in Pasay in 1904, as Director of Philippine Health, and then as executive officer of the Philippine Rehabilitation Administration in charge of national recovery from the devastation wrought by the Japanese occupation. The postwar reconstruction period was a very trying one for the Pasayeños as they began to pick up the pieces of their shattered lives. Osmeña appointed Adolfo Santos as prewar vice mayor of Pasay, in place of incumbent Moises San Juan who died during the war. Ignacio Santos Diaz, congressman from the first district of Pasay, pushed for the conversion of the town into a city and it to be named after Rizal. The Diaz bill was signed into law by President Roxas on June 21, 1947. Rizal City with population of 88,738 was inaugurated with Mateo Rufino as Mayor. Rizal was off to a good start with revenues of P472,835 as of June, 1948. There was just one hitch; the residents could not get themselves to call their city by its new name. After two years, eight months, and twelve days of trying the force of habit continued to prevail. Pasay Congressman Eulogio Rodriguez, Jr. filed a bill returning the city to its original name. On May 3, 1950, President Elpidio Quirino, once a resident of Pasay himself, signed into law the bill approved by Congress. It was also in the 1940s when houses of faith started rising in different parts of Pasay to help people heal their bruised souls. Among them were the Church of Our Lady of Sorrows, the Libreria de San Pablo Catholic Women's League, Caritas, the nutrition center, and the grotto of Our Lady of Lourdes. In 1951, two parishes were established -the Parish of San Isidro Labrador and the Parish of San Rafael. On June 14, 1955, Pasay City regained its power to choose its leader. Pablo Cuneta ran against one-time Mayor Adolfo Santos and became the city's first elected mayor. In 1959, he campaigned again and won against his former vice mayor, Ruperto Galvez. On December 30, 1965, Ferdinand E. Marcos occupied Malacañang Palace as the new President of the Philippines, with Fernando Lopez, a resident of Pasay, as Vice-President. From that moment Imelda Romualdez Marcos became involved in national affairs. On the northern boundary of Pasay, she started filling the waterfront on Manila Bay to build the Cultural Center which was a world-class arts complex. She would add three more architectural showpieces on reclaimed land in Pasay: the Folk Arts, Film Center, and the Convention Center. While the First Lady was busy changing Manila's skyline, President Marcos was using his new presidential powers to create a police state for eventual dictatorship. In 1967, Jovito Claudio won for the mayoralty race against Pablo Cuneta. In 1969, Marcos ran for reelection and claimed a margin of one million seven hundred votes over his opponent Sergio Osmeña, Jr. Marcos paid for his campaign in several ways: by printing more money and causing runaway inflation. So obvious was the election fraud that Marcos became the target of unprecedented contempt of students and the opposition. In the following year, an assassination attempt occurred in Pasay. A Crazed Bolivian surrealist painter lunged at Pope Paul VI with a knife grazing his chest. In 1971, Cuneta became mayor once more of the 206,283 Pasayeños. It was the time of crisis since the Maoist New People's Army was getting stronger in the countryside. The government bureaucracy was corrupt, nepotistic, and inept. Anarchy ruled the streets. The nation shuddered with fear in the face of its own implosion. On September 21, 1972 Marcos signed Proclamation No. 1081 placing the nation under martial law on the grounds of growing threat of Communism, natural clamities and rising violence which included a string of bombings and the staged assassination plot on his Defense Secretary, Juan Ponce Enrile. Mayors in Greater Manila, including Pablo Cuneta of Pasay were called to Malacañang and asked to join the government party, the Kilusang Bagong Lipunan and nobody dared to refuse the President. On December 7, 1972, almost two months after martial law was declared, an assassin tried to kill Imelda Marcos. The event took place in Pasay, on live television. While Mrs. Marcos was distributing prizes to the winners of the National Beautification and Cleanliness contest. She suffered some wounds and broken nails but on the whole she emerged unscathed from that close encounter. On the second anniversary of martial law, Marcos issued Presidential Decree No. 557, returning to every barrio in the country the barangays. Not long after the decree had been put into effect, the Metropolitan Manila Commission and the Department of Local Government instructed Pasay to create its own barangays. Mayor Cuneta created 487 barangays. Upon the firm suggestion of Secretary Jose Roño of the Department of Local Government, the number of barangays was trimmed down to two hundred. On November 7, 1975 Marcos appointed the First Lady as governor of Metro Manila, a new federation created by Presidential Decree No 824. The federation consolidated 13 towns and 4 cities including Pasay. By 1977 an air of stability seemed to settle on the cities and the countryside. The GNP posted an annual increase of 7%, unemployment dropped, foreign investment doubled, and a sense of law and order existed. But it would take time for people to realize the high prize they had to pay for the New Society policies. An estimated six thousand political prisoners had been silenced in jail, including Ninoy Aquino. Bodies disappeared without a trace. More importantly, Marcos's main justification for martial law - to curb Communist threat - had in fact had the opposite way. In 1983, Ninoy Aquino, a political nemesis of Marcos, was assassinated in the Manila International Airport upon his return from self-exile abroad. The event came within 2 years after the LRT Line 1, stretching along Taft Avenue along the city, opened its doors with 3 stations located in Pasay itself, with the southern terminus, Baclaran station, located near the Pasay-Parañaque border. One good note would come of those times with the Miss Universe 1974 pageant held in the reclamation area, bringing the city to the international spotlight. The situation changed in the city in the immediate aftermath of the People Power Revolution. Cuneta left his post to be replaced by two acting mayors, Eduardo Calixto and Norman Urbina, only to be reelected in 1988 and serving for three more terms, before handling over to Jovito O. Claudio in 1998. Upon the end of his term he was the city's longest ever city mayor. Claudio, himself replaced by the then vice mayor Wenceslao "Peewee" Trinidad in 2000, saw the building of the Manila Metro Rail Transit System Line 3 southern terminus in the city, and the Pasay City General Hospital was opened. Pasay City covers a total land area of 18.64 square kilometres (7.20 sq mi), making it the third smallest political subdivision in the National Capital Region and fourth in the whole country. It borders City of Manila to the north, Parañaque to the south, Makati and Taguig to the northeast, and Manila Bay to the west. The city can be divided into three distinct areas: the city's urban area with an area of 5.505 square kilometres (2.125 sq mi); the Civil Aeronautics Administration (CAA) complex, which include the Ninoy Aquino International Airport (NAIA) and the Villamor Airbase, with an area of 9.5 square kilometres (3.7 sq mi); and the reclaimed land from Manila Bay with an area of 4.00 square kilometres (1.54 sq mi). Pasay is composed of seven districts, subdivided into 20 zones, with a total of 201 barangays. The barangays do not have names but are only designated with sequential numbers. The largest zone with an area of 5.10 square kilometres (1.97 sq mi) is Zone 19, which covers barangays 178 and 191. 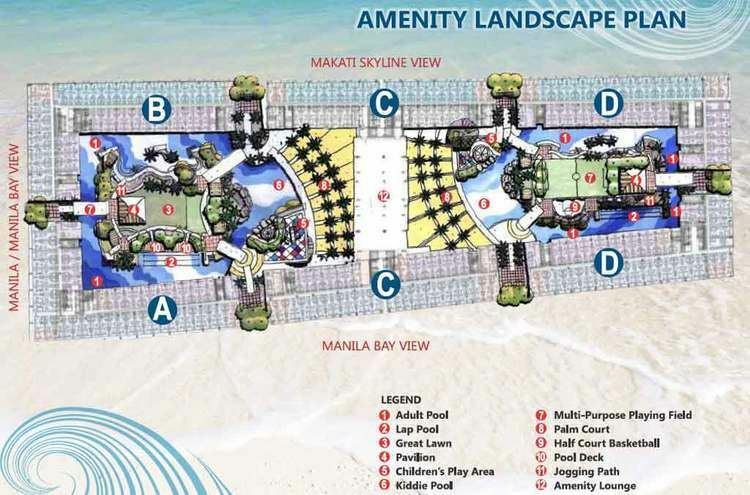 The smallest zone with an area of 10 hectares (25 acres) is Zone 1, covering Barangays 1 to 3 and 14 to 17. National government offices found in Pasay include: Office of the Vice-President of the Philippines, Senate of the Philippines, Department of Foreign Affairs (DFA), Civil Aviation Authority of the Philippines, Civil Aeronautics Board, Manila International Airport Authority, the Philippine Department of Trade and Industry's export promotions agency – the Center for International Trade Expositions and Missions (CITEM) – located in the International Trade Complex's Golden Shell Pavilion, and the Overseas Workers Welfare Administration (OWWA). The main office of the Philippine National Bank is located in the city. The city shares the location of the Ninoy Aquino International Airport with Parañaque City. Terminal 2 and Terminal 3, as well as the terminal of Manila Domestic Airport are located in Pasay City. Villamor Airbase of the Philippine Air Force is also located there. Pasay City is served by several highways and major thoroughfares. Epifanio delos Santos Avenue (EDSA), Roxas Boulevard, Gil Puyat Avenue (Buendia Avenue) and Taft Avenue function as the city's main thoroughfares. Secondary thoroughfares include Andrews Avenue, Antonio Arnaiz Avenue (formerly called Libertad in the Pasay segment), Diosdado Macapagal Boulevard, Ninoy Aquino Avenue and NAIA Road (MIA Road). Three expressways serve Pasay and other parts of Metro Manila and Calabarzon Metro Manila Skyway, an elevated expressway part of Radial Road 3 (R-3) and Asian Highway 26 (AH26), passes on the Pasay-Taguig boundary. South Luzon Expressway, commonly called as SLEX and also parts of Radial Road 3 and Asian Highway 26, follows a similar route with the Metro Manila Skyway, but rather runs directly on the ground. NAIA Expressway, an elevated toll expressway, serves Terminals 2 and 3 of the Ninoy Aquino International Airport, after fully opened in December 2016. Buses provide city (commuter) and provincial (intercity) operation on Pasay. Provincial bus terminals are mostly found near the Buendia LRT station, and a new terminal, the Southwest Provincial Bus Terminal, is found on HK Sun Plaza, adjacent to the Macapagal Boulevard. This city has two railway systems, which includes LRT Line 1 and MRT Line 3. LRT 1 has four stations, namely Gil Puyat (Buendia), Libertad, EDSA, Baclaran, and its depot is located along Airport Road. MRT-3 has only one station, named Taft Avenue, which serves as an interchange with LRT-1. Tricycles and pedicabs serves the barangays. Multicab services connects SM Mall of Asia with Baclaran (in Paranaque), Pasay Rotonda, and Cash N' Carry (in Makati). Vans also provide service in the city and other destinations in Metro Manila. On the list of largest running events in the world, based on the number of participantsm a record 209,000 registered running enthusiasts participated in the 2012 Kahit Isang Araw Lang: Unity Run which started and ended at the SM Mall of Asia grounds in Pasay City. The Department of Education (DepEd) – Division of City Schools – Pasay operates 18 public elementary schools and 8 high schools, and operations divided into four districts: Pasay North, Pasay East, Pasay South, and Pasay South. Special education are provided by the Philippine School for the Deaf and Philippine National School for the Blind, Pasay City SPED Center, and one Alternative Learning System (ALS) center. Numerous private schools, including Catholic and parochial schools, also operate on the city, like the Saint Mary's Academy.